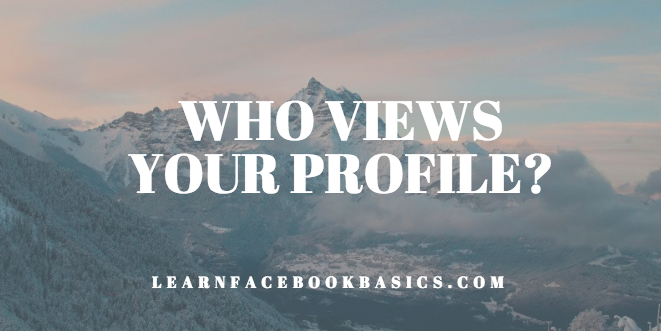 How to See Who Views My Facebook Profile | Who is Looking at My Facebook Account? How to See Who Views My Facebook Profile | Who is Looking at My Facebook Account? : Most users are interested in seeing which Facebook friend or user is viewing their Facebook profile. While there are some programs and browser extension claiming that they can track who is stalking you on Facebook, there are some elements of scams in their activities.